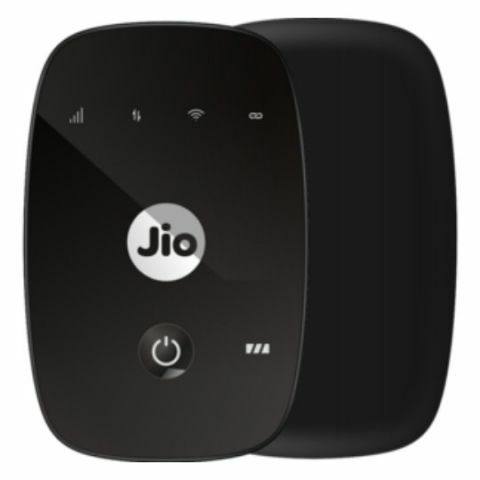 Reliance Jio is offering 100 percent cash back to all existing wireless dongle users purchasing company's JioFi 4G portable router. Under company's new plan, customers need to pay Rs. 1,999 to get JioFi router and make a mandatory first-time recharge of Rs. 408, which includes Rs. 309 data plan offering free data for 84 days and Jio Prime subscription at Rs. 99. JioFi users will get 100 percent exchange benefit by exchanging their old data card, dongle or hotspot router at Jio Digital or Jio Care store. As part of the benefit, users will get free 4G data worth Rs. 2,010 against the exchange of their internet dongle. While the customer pays Rs 1,999 for JioFi, the free 4G worth Rs 2010 brings the effective cost down to zero. For those not wanting to exchange their existing dongle or don't have one, Reliance Jio is offering JioFi dongle at an effective price of Rs. 994. Customers first need to buy JioFi dongle at Rs 1,999 and make a mandatory first-time recharge. They will then get free 4G data worth Rs. 1,005, bringing the effective cost of dongle down to Rs. 994. Reliance Jio claims to have over 100 million subscribers since it started commercial service in the month of September last year. At its recent financial earnings disclosure, Jio revealed over 72 million subscribers have enrolled under its Prime subscription. Jio is also reportedly working on a 4G-enabled feature phone and a 13.3-inch laptop likely to be powered by Chrome OS. The company has already started testing its FTTH service and might soon introduce its hybrid DTH service in the country.